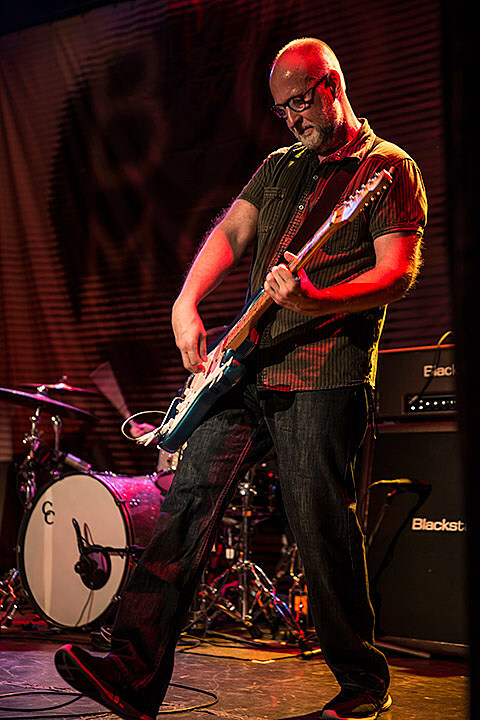 Bob Mould has been making vital music for nearly 40 years and he remains as melodically on point (and deafeningly loud) as ever. With Ted Leo opening (and maybe a surprise guest or two, we’d bet) this will be a great show. It’s the first night of the annual WFMU Record Fair that will take over the huge Brooklyn Expo Center with thousands of cool, old records to thumb though and maybe buy. The Helio Sequence put their new self-titled album out on Sub Pop last year which added a lightly psychedelic touch to their sound. Fresh off a tour with Joy Formidable, catch them at this headlining show tonight. Former Nerves songwriter and power pop godfather Paul Collins helped pioneer a jangly sound that’s still being imitated today. NOFX have been delivering their distinct brand of snotty pop punk for close to three decades, and they’re nothing if not consistent. They haven’t released a new album since 2012, but this tour is in support of their new autobiography, The Hepatitis Bathtub Stories and Other Stories. They’ll do a book signing at Strand from 6:30 to 7:30 PM and then play a set at Irving. Things are sure to get weird and loud at this late-night show headlned by the always magnetic Pharmakon. Delta Spirit frontman Matthew Logan Vasquez released solo album Solicitor Returns earlier this year which isn’t too far removed from is other band. After doing the singer/songwriter thing, Laura Stevenson went for a more punked-up album with 2015’s Cocksure. She’s touring in continued support of that, and tonight’s her second of two NYC shows with chiptune punks Crying and Antarctigo Vespucci/Fake Problems’ Chris Farren. East Coast hip hop veterans Naughty by Nature have been going at it since 1991 and celebrate 25 years with a “Hip Hop Hooray” tonight. Here’s a hat-trick of a lineup, showcasing three of the city’s best young bands doing variations on the postpunk sound. For something completely different, try this show featuring no-wave legend James Chance & the Controtions, plus out-there artist Gary Wilson backed by the Morriconesque Tredici Bacci, Baltimore’s experimental Horse Lords, and more. While not well known in the U.S., Håkan Hellström is a household name in Sweden both from his days in Broder Daniel and with his solo career. Expect to see a lot of Scandinavian ex-pats at this sold-out show. We’re still in disbelief that Prince has left us. Celebrate his genius tonight with this free tribute party featuring DJs starting at 5 PM and a screening of his classic film Purple Rain at 8 PM.